We had a great time hosting Work Skills students this summer for their 2016 Summer Youth Work Experience Program. 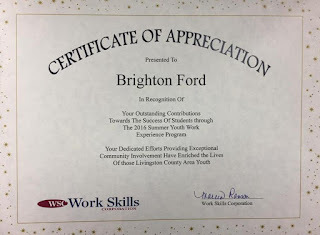 We would like to thank Work Skills for the recognition, but more importantly for the experience…we learned more from these students than they did from us! Work Skills Corporation (WSC) provides award winning services on a wide variety of employment and training programs for youth beginning at age 14 with disabilities and/or have a basic skills deficiency, both in and out of school. WSC services assist youth facing barriers to employment to learn and develop the broad range of skills and work experience they need to participate and transition into the workforce. 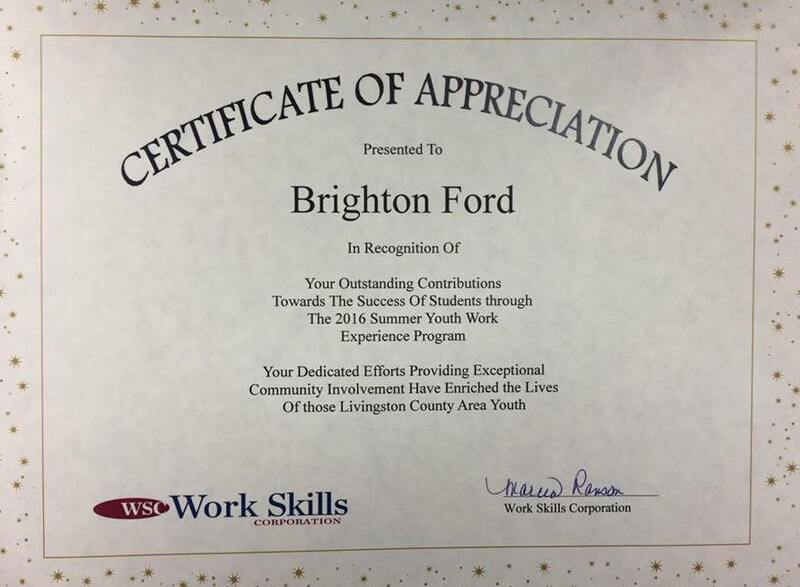 These include career exploration (like the Summer Youth Work Experience Program Brighton Ford helped with), vocational, situational and clerical assessments, specialized assessments (e.g. Custodial, PC Skills Assessment), job tryouts, work experiences, transitional employment, job development, job shadows, on-site employer tours, on-the-job supports, follow up, and resume building.